Building team chemistry and healthy, beautiful bodies at the same time. 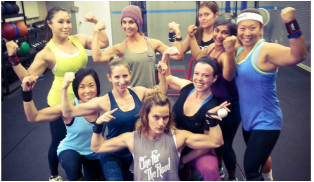 Join A4 Fitness' West LA Corporate Personal Training program. Your team will thank you, and you will thank them right back when you see performance and productivity skyrocket! All A4 Fitness services including personal training, boxing, strength yoga, CrossFit, MMA and self-defense are all available for local companies and corporate teams. West Los Angeles' best fitness program is now available to our local businesses. Take advantage of this great opportunity to grow your business through improved teamwork, confidence and discipline right now! Amanda Lerner. A4 Owner and 40 year old mother of 2. 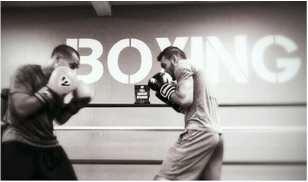 A4 Fitness has 20 years of experience coaching fitness and boxing. We have helped thousands of people get into the best shape of their lives. We are offering our neighboring businesses such as yours the best deal we have ever offered on our group services. Small group personal training at less than 1/10 the cost of 1 on 1 training when 5 or more employees sign up together. We have included an option that offers fully coached strength training, boxing and nutrition. We can also offer personalized services and schedules or even bring the workout to your office if there is space available. 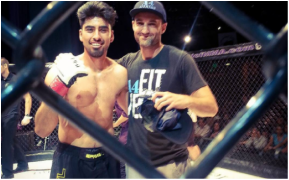 We have elite coaches that specialize in personal training, CrossFit, boxing, yoga, gymnastics, Muay Thai, MMA, BJJ and self-defense. Thanks for your time and please let us know how we can bring a team building, positive change to your lives and business. Choose your best suited option below to get started. ﻿Build a united, healthy and strong work-force. Help your friends lose fat, gain muscle, energy and reach new performance levels. Come punch your friends!! We're just kidding, but you will be hitting bags and mitts as well as doing partnered technique work and condition. More advanced boxers are also allowed, but not required to spar with friends. Boxing is a great workout and a super fun team building activity. A4 Fitness currently trains some of the best MMA fighters in the world. White collar corporate groups love to learn the pro techniques for fun, fitness and real world self-defense.